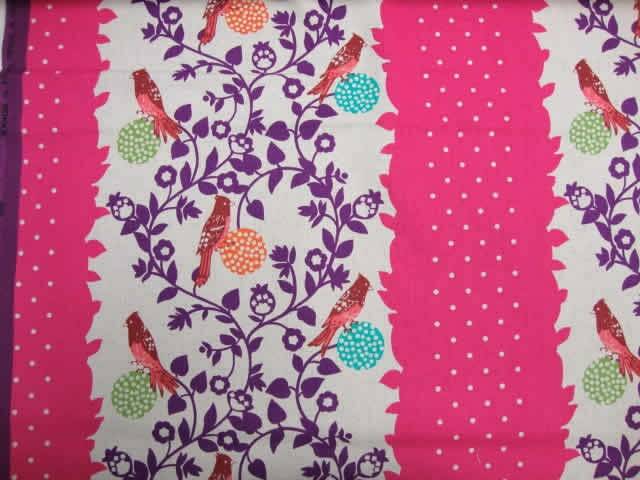 Beautiful patterns of classic Echino design of birds perched on tree branches on natural cotton linen blend fabric and vertical stripe of small dots on pink background. Size of the birds: 2.8" (7cm). Soft canvas fabric..45% cotton, 55% linen blend. Usage: Make clothing, bags, home decor projects such as throw pillows, quilts, tablecloths framed wall art, curtains, lampshade or light upholstery. Sold by the half yard ( 1/2 yard= 18"L x 43"W : metric 46cm x 112cm ).